This post is not about how amazing the 41 megapixel camera is on the Nokia Lumia 1020 (because it is), it’s about my personal experience in actually using the phone, and some of the pain that followed. Firstly, it’s always cool to get the new toy, and open it. This doesn’t mean it needs to be filmed – as a kid, how much fun was it to go to someone else’s birthday party and watch them open all their presents and be really excited? Yeah. So, this wasn’t my first Windows Phone 8 device either, as I’d previously had a Lumia 920. A rather hefty phone that could most likely stop a bullet, but had an issue with the speaker that made people talking sound like they had a sock in their mouth. Annoyingly I had to send it back to my carrier, who sent it back still faulty, then sent it straight to Nokia to finally have it fixed about 3 weeks from the start. These things happen, I had no major issues after that. Then, while I was out I just wanted to Google something (sorry about that Bing). I couldn’t, it had no internet connection again. I was showing 4G and had great signal, so what was going on? I tried rebooting but that didn’t help. I gave up for that night. This bluetooth problem happens about every second time I get in the car. I’d previously used a Samsung Galaxy S3 without issue for over a year, so I knew it wasn’t the car at fault generally (although it may have just not liked something about how the Lumia was doing bluetooth). Every time I’d try and turn off bluetooth it would never let me turn it back on, and just rebooting the phone without turning bluetooth off first seemed hit and miss. At this stage, I’m getting annoyed. I reach out to Nokia via twitter, and pretty much get told to check the car supports it, after telling them that the 920 is supported as per their website. @AdamFowler_IT We recommend you contact the manufacturer to confirm the Nokia Lumia 1020 is compatible – please let us know the result. I’m now waiting to hear back from Hyundai about this. While this is going on, I then get back to work and my internet connection has stopped working from the phone. I realise it must be to do with 4G, so force the phone to go back to 3G and things start working. Getting onto my carrier, they say they’ll trigger off the carrier settings to make 4G work. My phone reboots, I figure what they did must have caused that to happen. 4G starts working so I’m happy… until a few days later, where the internet connection fails for 3G. I reboot the phone to fix that issue. Other times the phone will just freeze during operation, and I’ll have to hard reset it by holding down the power button and volume down button to get some life into it. I decide to call Nokia Care Australia to see what they have to say about all this. This is where I am now, at the time of writing. I list off all the issues, and the first suggestion from their support is that maybe I have too many apps running. I’m somewhat surprised by that statement, and they say to hold down the arrow button and go back to get rid of any open apps. I told her that wouldn’t explain all the other issues I’m having – so she then says to reset the phone to factory settings. I go through that fun process but after going through it 4G doesn’t work again. The next gem of information given to me is the explanation that it’s a coverage issue, and I must be in an area that doesn’t have 4G. I tell her that I am because I have other devices on 4G next to me working fine through the same carrier, but also that the only reason the phone will display 4G up the top is if it has 4G signal. She disagrees, is still sure that it’s just the setting enabled and continues to say it’s a carrier issue in her broken English explanation. I ask why it goes back to 3G when I go home without me changing any settings. She isn’t sure, but still ‘knows’ it’s to do with the coverage. Annoyed, I give up asking about it and get the phone functional on 3G. She then tells me if there’s any issue to call back, and hangs up the phone. Now I’m rebuilding the phone, and finding out the tedious way to re-download your apps is via this method. Anyway – this is my experience with a single Nokia Lumia 1020. Maybe it’s faulty, maybe the factory reset will fix it. Yes it’s a whinge, but it’s been a frustrating process to go through. Plus this is a blog about my experiences :) If you’ve had a similar or different experience, I’d love to know. New phone had the 4G issue, which I got back onto the carrier. My sim card needed to be swapped over, which then completely fixed the 4G issue. Thought all was well, but after trying to wireless charge with the wireless backplate fitted, nothing happened. Tried 3 different wireless charging stands and no luck, but don’t have a spare wireless backplate to test. It worked perfectly on the last phone though. Called carrier again, they’re now organising for a 3rd replacement handset to be sent out. 3rd time lucky? Update 15/10/2013: 3rd phone arrived a few days ago, and it’s been perfect. Wireless charging works. 3G/4G is fine. Not a single unexpected reboot or freeze. Bluetooth hasn’t dropped out at all. I’m calling it as being faultless! An extra note for at least those in Australia – if it’s less than 30 days and you find your phone faulty, ring the carrier you got it from and ask for a replacement rather than a repair. They may offer the repair, but should do an instant swap if you ask. Otherwise, a repair can take weeks. I have the same issues with being unable to turn BT or WiFi back on after turning it off… Will try to get the unit replaced. Living in Belgium. Definitely get it swapped over – my new replacement hasn’t missed a beat still, 100% stable. UK lumia 1020 user. Now on my second unit. First one froze every day, until eventually a reboot even came back in the frozen state. At that point the phone ran at max temp for an hour until the battery was flat. Unit was replaced just outside the 30 day window by Vodafone. No freezing issue with the second unit, but now I have the Bluetooth problem. Won’t stay connected to the car, requires a full delete and start again each time. I am also on my second Nokia qi charging case. First one was a bad fit, worked intermittently. Second one seems fine, but then it is a new phone as well. Worth RMAing the second one while you can – the bluetooth issue is incredibly frustrating! I am having the same issues on my new 1020 that I got 10 days ago. Here’s the mistake I made…Grey import phone from a .com.au website….first handset returned to Nokia service agent for repair (ditto issues above), received new N1020 as a replacement, reinstalled OS, had the same bt problems, returned handset to service agent for repair. Now i’ve been notified by same that they don’t have the handset (this is after 15 emails over timeframe of a month). Second mistake…there is no such thing as an international warranty on a Nokia product. The first service/replacement handset cost 1/4 of the value of the phone. Thankfully the phone is now MIA, never to be found by the local postal service or the Nokia service agent. So i’ve owned the phone for a period of 4 months and only had custody for 2 very frustrating months of that. I’m currently using my old 920 as a backup and it hasn’t missed a beat. Moral of the story- don’t buy yellow nokia1020 phone THEY ARE LEMONS. Nokia user since 1993, soon to be brand x consumer. Not sure if the colour matters as mine was black, but that’s a pretty crappy experience. I had a great experience with the 1520 though, so maybe they worked out something in the manufacturing process? The handset finally surfaced last week in the hands of the service agent. Apparently it needs a new PCP board at a cost of $275. This brings the total cost of the phone after several nokia repairs to $1400…..In the interim without a Nokia handset period of 4 months I migrated to a Samsung S5. I can’t believe the hype over this phone…it is very antiquated and very cumbersome, limited google/dropbox storage, poor photo editing software, poor camera control, poor email interface, poor widget control, overall, very disappointing. The Samsung handset will be best utilized the 7 to 9 age group in the family. I’d recommend reaching out to Nokia on social media such as Twitter and privately tell them your story. And I agree with your Samsung S5 perception, I wasn’t very impressed with it. I really liked the S3, but the S5 does seem very ‘kiddie’. Maybe an android phone without the new Samsung skin would be a better experience. Personally I’d love to try the new Lumia Icon, but it’s not even out in Australia yet. Adam, thanks for your advice. I’ll be buying another Windows Nokia shortly. I’ve had twenty-three faultless years with N devices, and only one lemon. Can’t really complain about that regardless of my own misfortune purchasing a grey import. I wait to see the advances in the 1020 replacement and improvement in Nokiasoft’s manufacturing, testing, delivery and service systems. I took delivery of a 1020 early in June and it was awful. Random reboots, dropping the wifi and BT and generally not doing what it should. One call to Vodafone UK and a new phone was delivered the next day and it works perfectly. 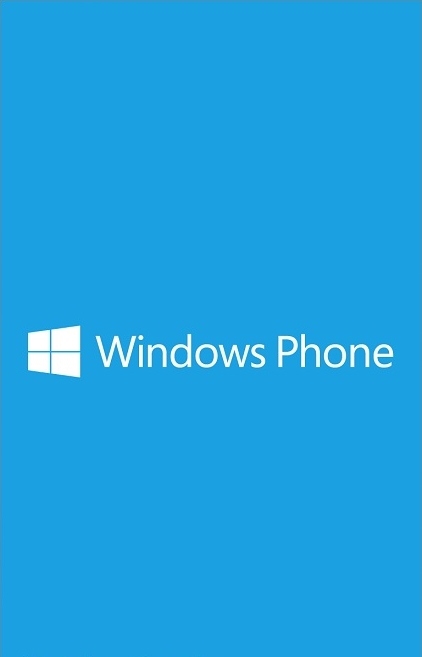 Its my first windows phone and I’m loving it. Thanks Vodafone for your help. I think the first phone was part of a dodgy batch. A lot of people would receive a faulty phone like that, and think that’s just how the phone is, which is disappointing. Glad you got yours sorted! Not that I found, once I finally got one that worked it was prefect out the box… still going strong now.